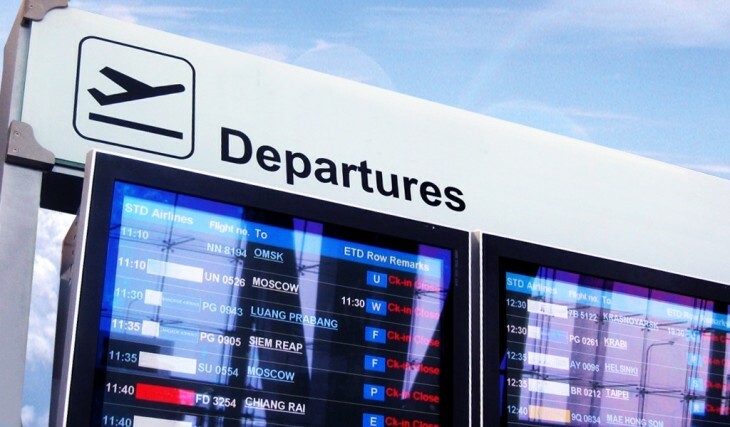 On Wednesday, Google updated Google Now with a myriad of new features that will be especially useful for those who like to, or at least need to, travel. You can download the latest update of Google Search for Android now from the official Google Play Store (Android 4.1+ required). As you can see in the first sreeenshot below, Google Now has gained the ability to tell you what the weather will be like at your destination, before you leave your house. The second screenshot meanwhile shows it will also automatically pull up your boarding pass when you’re at the airport (United Airlines only for now, but Google says more will be added soon). Furthermore, Google Now can also give you a list of events happening around you when you arrive at your destination. The last one includes suggestions of websites for you to explore as you research things to do as well as learning more about specific pieces while you’re out and about (using Google Goggles). 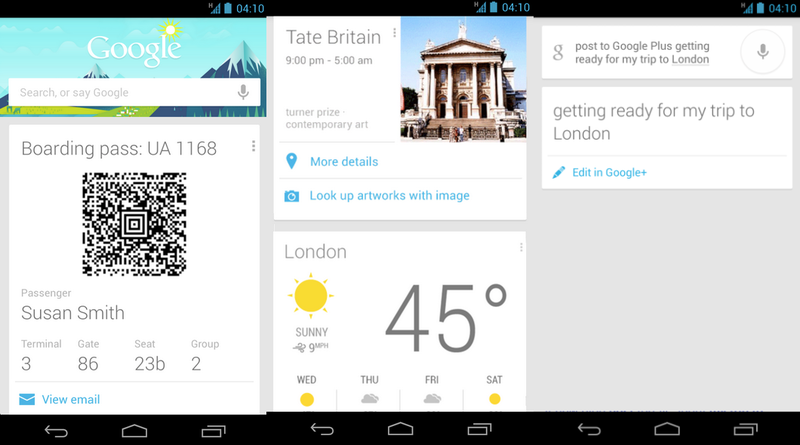 All of these are part of Google Now’s card features designed for travel. Already-existing cards include currency conversion, translation, and flight status cards. Google has also tweaked Voice Search so you can find out the name of the song that’s playing by saying “What’s this song?” as well as quickly find product info by saying “Scan this barcode.” The former will be very useful for anyone who uses Shazam or Soundhound, while the latter is of course aimed at shoppers. On top of that, there’s the usual Google+ integration: you can now post to the social network just by using just your voice. As you can see in the third screenshot above, this is mainly geared at status updates. New cards: Events nearby, Suggestions to help with your research, Boarding passes from Gmail (United only, more to come), Search by camera when at museums or shops, Weather at upcoming travel destinations, and approximate monthly summary of walking and biking activity. New voice actions: Post to Google+, Say “What’s this song?” to find the song you hear, and Say “Scan a barcode” to find product info.